Prepare all the fruit you can find, removing any unnecessary skin or seeds. 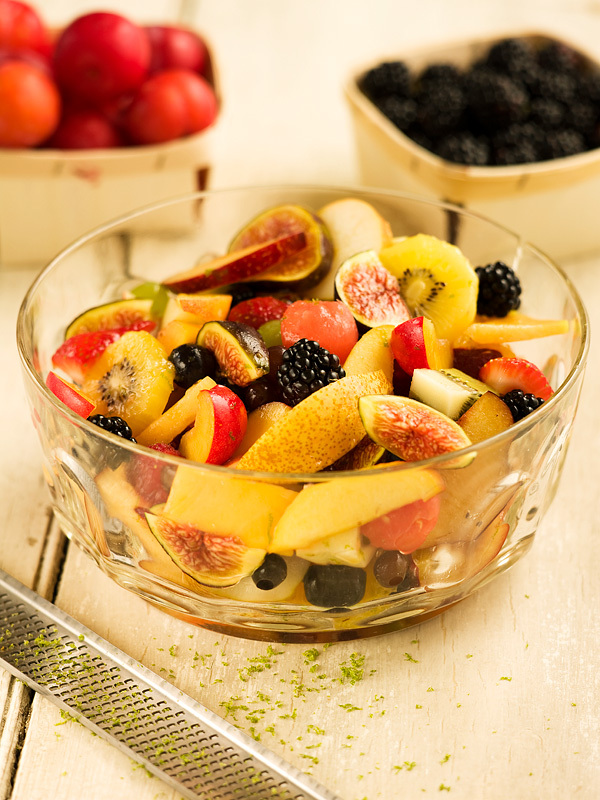 Make sure all the fruit is in bite-sized chunks, and toss together with the lime and honey. You may serve this salad immediately, but, if you refrigerate it for a few hours, it will become even juicier and more delicious. This will keep in the fridge for 2 to 3 days. Next time you’re at the supermarket, load your cart with every different fruit you can find. They’re all fair game in this salad. Tofu is a highly nutritious bean curd made from soy milk. It’s an excellent source of protein and very easy to cook with. There are many varieties and many ways to cook it. 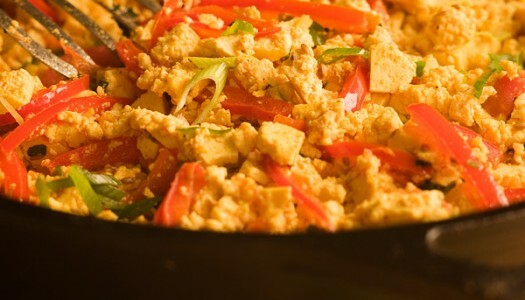 Pan-frying softer tofu until it resembles scrambled eggs is one of the simplest and tastiest.